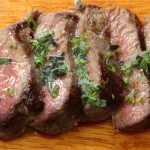 Keto Beef Steak with Herbed Butter - Headbanger's Kitchen - Keto All The Way! Beef Tenderloin or Filet Mignon is the Rolls Royce of steak cuts. It’s incredibly tender and juicy. 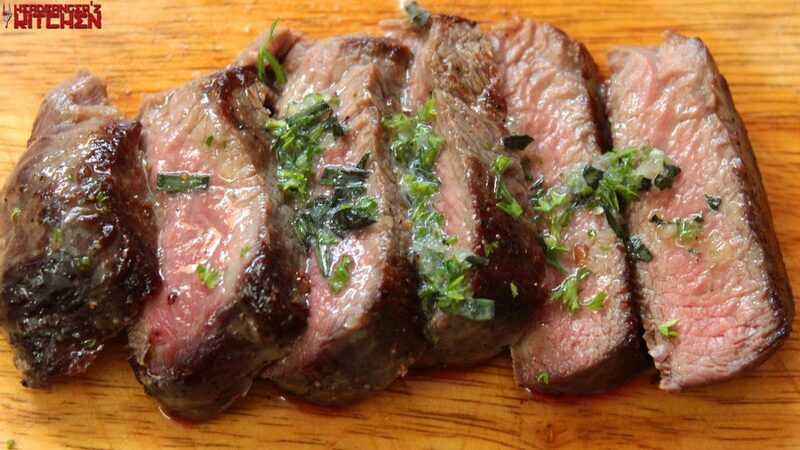 Today I’m cooking up some filet steak with a delicious herb butter. Now I must confess that the meat I’m using is water buffalo, not cow. I won’t get into the how or why of things but let me just say that the meat is very lean, filet steak is lean anyway but the water buffalo we eat is a working animal and in general their meat is quite tough. However the filet is always tender. Is calling a steak Keto steak just moot? Macros for this dish will depend on the size of your steak and for the butter just add plain butter because the other stuff doesn’t add anything much in terms of macros. And yep a steak cooked with salt and pepper is Keto, so do we call it a Keto steak? or just steak? Anyway it’s a good idea to play around with the flavours of the butter. You can use any kind of herbs you like, I’d also go as far as to make a blue cheese butter since I think blue cheese and beef are a match made in heaven. Anyway have fun experimenting. the pan was olive oiled or buttered?